Mrs. Agnes Darleen Blaul of Campbellsville was born on May 18, 1942 in Finley to the late George R. and Mary Elizabeth Mattingly. She passed from this life on Thursday, August 23, 2018 at her home after an extended illness. She was 76 years, 3 months, and 5 days of age. She had made a profession of faith in Christ and was of the Catholic faith. Mrs. Blaul was a dedicated factory worker, having worked many years in the plastic molding industry before her retirement. When she wasn’t working in her garden, she enjoyed collecting dolls and playing games on her iPad. 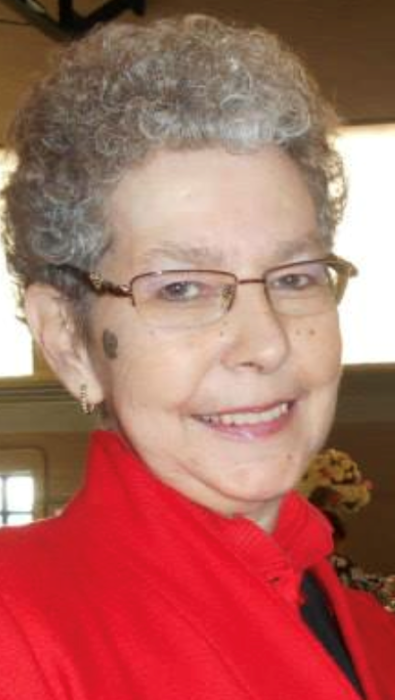 She was also preceded in death by her husband, Richard L. Blaul, in 2016; one daughter, Susan Marie Luckett; and three siblings, Nolan, Ruth, and Emma Jean. There will be a funeral service to honor the life of Mrs. Blaul on Sunday, August 26, 2018 at 2:00 PM EST (1:00 PM CST) in the chapel of the L.R. Petty Funeral Home, 1765 New Columbia Rd, Campbellsville, KY. Father Saju Vadakumpaden will be officiating. Burial will follow in the Campbellsville Memorial Garden Cemetery, 3878 Greensburg Rd, Campbellsville, KY. The family will receive friends at the funeral home on Sunday, Aug. 26, from 11:00 AM EST (10:00 AM CST) until time for the funeral.